Welcome back to part two of The Writing Diaries! I am working like crazy trying to edit my book (and failing lol), but between course work, new church duties (more on this on Friday’s post! ), babysitting, and time with family and friends, I am swamped! And you know what? I love every bit of it! Yes, life can get stressful, but my life is full. It is full of love, opportunities, blessings, and intimate moments with Jesus. Not everyone is as fortunate as I am, but I will tell you that my life was never this full until I began my walk with God. Now back to the topic at hand! 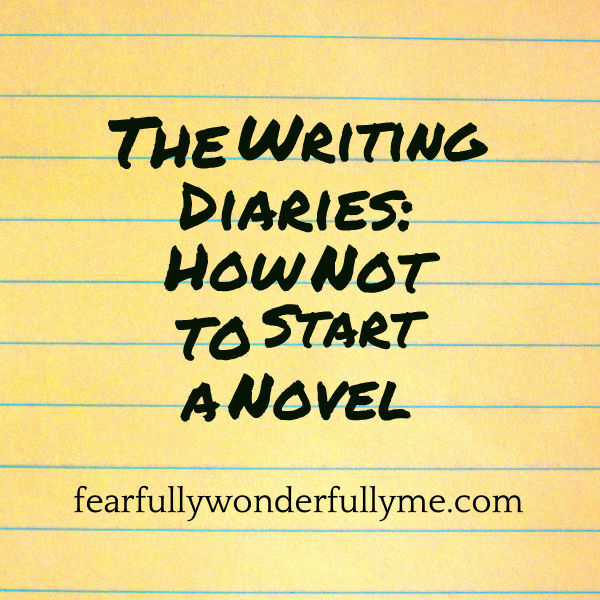 Today I want to share with you some of the common mistakes made (or at least that I made) when starting to write a first novel. If you are a newbie like me, then I’m sure you can relate to these. Hopefully these tips will save you some grief in the future! If I had only known how much easier life would have been if I had just outlined my major plot points! The thing is, I never planned on writing a novel–at least not this novel. It started out as a poem that became a couple of paragraphs. Soon I began to imagine characters and boom!…Out pops the beginning of a novel. I actually started writing my book toward the end of the story. Not the brightest idea. If you haven’t started writing yet, then do yourself a favor and sit down with a notebook and pen and make an outline from beginning to end. It doesn’t matter if it’s not detailed yet–you can always add/subtract things as you go. Things just work out so much easier if you have a plan. To make things worse, not keeping track of character names, attributes, and unique traits is a HUGE hassle (one of the biggest ones I am facing currently). I thought that I would remember all of my characters because there aren’t too many, and after all, I had created them myself right? How could I forget my own creation? Well, it’s a good thing I’m not God, because I can’t even keep up with a dozen characters from a book (let alone the entire human race). After you do your plot outline, the smart thing to do would be to make a major and minor character outline. This is great to refer to once you are trying to remember how to describe a minor character without having to go back thirty pages to where he/she was first introduced. Plus, you can carry this list with you and add things as they pop up in your head. This builds great character depth. So now that you have set aside a few days to come up with your outline and character list (which you can totally add to or revise later), now it’s time to get started! I remember being so pumped, writing for hours at a time…for three days. And then I would take a whole week off. This is a bad rut to get into. I’m not saying that you need to be writing everyday (although it is good to practice some sort of creative writing daily), but you need to have a consistent novel writing schedule. Obviously this will look different for everyone. And if you’re a student like me, then you will find that this may change in between semesters or terms. Perhaps you are the type of person who likes to write everyday. In order to not overwhelm yourself, allowing one or two hours in the morning (or night) may be just what you need. For those of you who like to “binge write”, then setting a whole afternoon or evening (around 3-4 hours) a couple of days a week may be just what you need. Again, everyone’s schedules are different. Maybe you will need less or more time to write in a week. Feel free to be flexible when you need to. Remember to plan it around your life (such as work and school). Write it down! Make it a commitment on your planner and keep it. Try out different things. Maybe do it daily for shorter periods one week, and then “binge days” the next. Remember to be flexible. The point of this is to build a habit to prevent laziness and anxiety. In the comments below, please give your own suggestion for our writing community on how to start writing a novel or story. If you have a question of your own, feel free to ask!